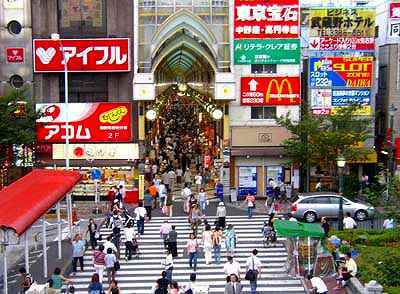 There runs a road called Nakano street next to JR Nakano station heading northward to Tetsugakudo Park and southward to Ome Kaido. 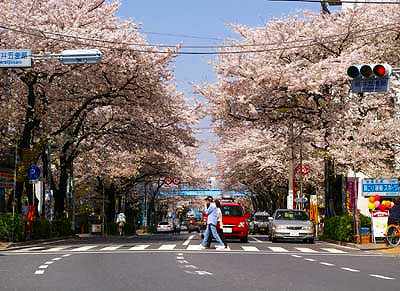 This road is widely known for the beautiful cherry trees planted along both side. 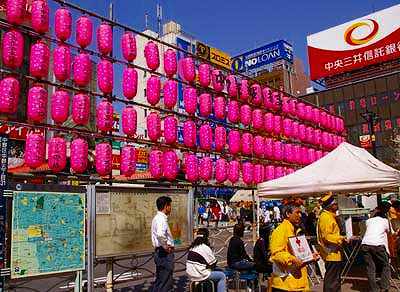 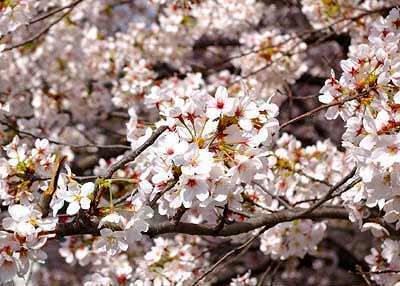 Cherry tree is the most favorite tree to Japanese people and planted on every place. 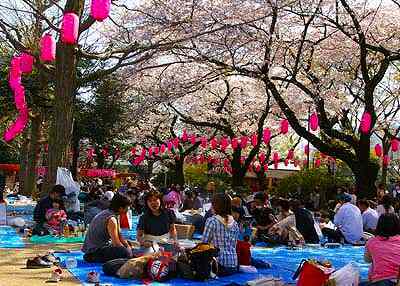 When the trees blossom in mid spring, peole gather under the trees and feel happy to see the cherry flowers. 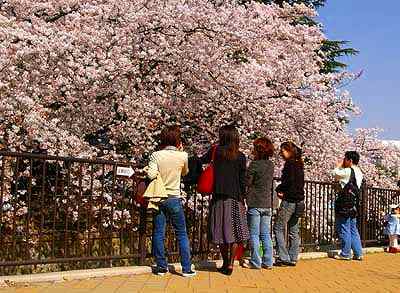 They think the flowers have magical power to make them happy. 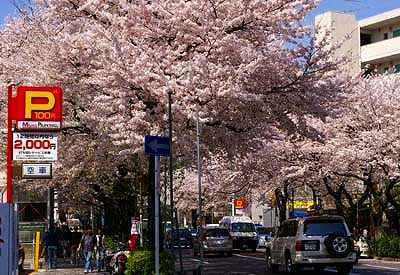 But it is rare to see the cherry trees planted along the roadside. 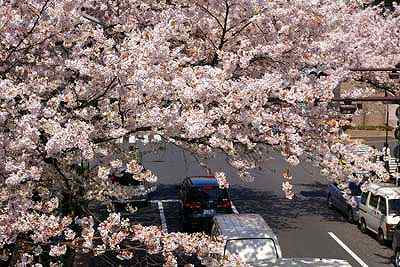 It might be considered that cherry tree is unsuitable as street tree because it vastly spreads its branches. 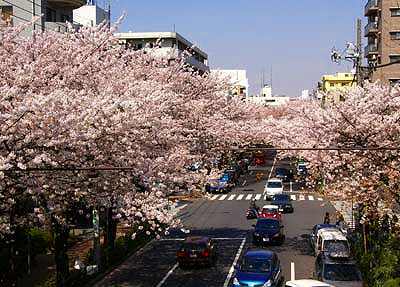 The cherry trees along Nakano street are loved by all peole living in neighborhood. 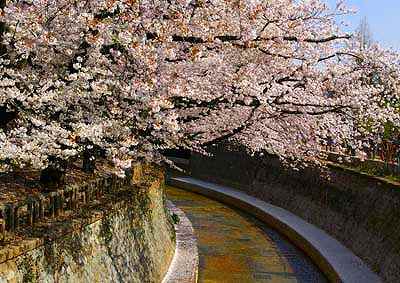 When the road administrator tried to cut down some of them, the people strongly opposed to the plan and forced the administrator to abandone the plan. 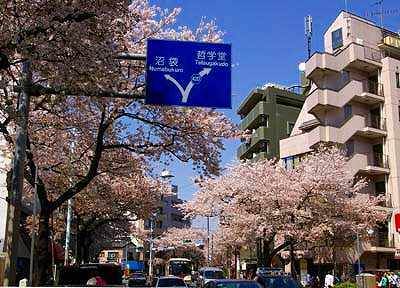 On a fine day of mid spring in 2005, I walked along this road from Nakano station to Tetsugakudo park.